Doors at 6:30 p.m. | Screening at 7 p.m. The Winnipeg Art Gallery & Gimli Film Festival have teamed up to present the Manitoba-premiere of THE GRIZZLIES. Based on a true story, The Grizzlies follows a group of Inuit youth in a small community who gain a powerful sense of pride and purpose through the sport of lacrosse, in this account of tenacity, renewal, and inspiring resilience in Canada’s north. 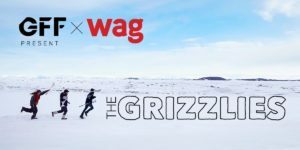 The Grizzlies had its world premiere at TIFF 2018 and was nominated for two Canadian Screen Awards. This event is a joint fundraiser for the Winnipeg Art Gallery’s Inuit Art Centre and the 19th annual Gimli Film Festival, July 24 to 28th.